Looking for Office Chairs in Indianapolis! Great customer service at Instockchairs.com! Those who live in the great Hoosier state of Indiana know that good customer service is tough to come by. If you are located in Indianapolis or the greater Indiana area and are looking for office chairs, look no further than Instockchairs.com! Not only do we offer a wide variety of all types of office seating, our multifaceted sales and customer service reps will help you every step of the way! Instockchairs.com stocks 1000's of office chairs that ship out IMMEDIATELY and arrive in just a couple of days to your home or office. Shipping is always free! Leather Chairs, Mesh Chairs, Ergonomic Chairs, Reception Chairs, Medical Guest Chairs, Task Chairs, Multi-Function Chairs, Airport Beam Seating, Reclining Office Chairs, Executive Chairs, Stools, Stack Chairs, Club Chairs, Big & Tall Chairs.....and that's just scratching the surface! � Real live people! Many people are pleasantly surprised to hear a real live person pick up the phone instead of impersonal phone prompts. They're even more pleased when the person that answers the phone can also help them with their questions, instead of passing the call to someone else's voicemail. In the age where more and more companies are using automated services to 'help' their customers, we've continued to stick to our traditional ways. � No Scripts! Many customer service representatives rely on scripts that don't exactly answer your questions. And why shouldn't they? They've probably never even seen the product you're talking about, which is why your semi-complicated questions won't be answered. At Instockchairs.com, we are literal fountains of knowledge! Many of us have worked for here for decades and have years of experience with our chairs. In fact, the chair you might be calling about might be the one we are sitting in! With our chairs literally footsteps away, your questions will always be answered accurately and promptly. � We wear many hats! Do you have a question about the measurements of a chair? Are you calling to track your order? Do you have a shipping question? Need help putting a chair together? Need advice on picking out a chair? Do you need a price quote? Are you looking for swatches? You will find that you can work with the same person for all of these questions/requests! Everyone is trained in multiple areas so you will never be bounced around the office. � WE ARE RESPONSIVE! We all know how frustrating it can be to never have your call or email returned. At Instockchairs.com, we return calls and reply to emails right away because we work hard for your business! 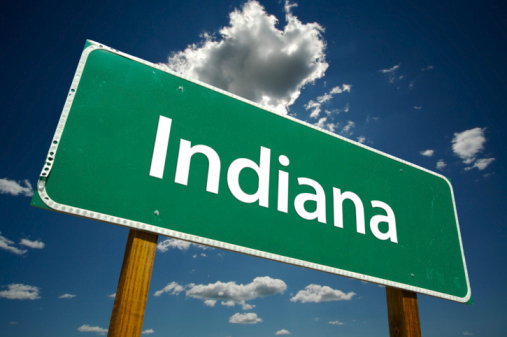 Many Indiana businesses and institutions already know � Instockchairs.com is the place to buy your office chairs! You can place your order online 24 hours a day. Our sales/customer service team is available Monday-Friday, 8:30-5:00 Central Time to answer any and all questions and to help you place your order. Call us today toll free at 1-800-443-5117.